With the migration of trackers to issues comes the addition of all the users in your Redmine instance into your JIRA instance. It is a good idea to evaluate your users in both instances and determine if the Redmine users can be mapped easily to the user base in JIRA. Most of the time, advanced planning will be needed. Mapping users – You’ll need to perform a one-to-one mapping of all Redmine users and email addresses to their respective JIRA account(s). A common issue is that some Redmine users may have different user names and/or email addresses in JIRA. Keep this in mind before the import. You may be left with having to set up a few scripts to do user updates in Redmine before running the import. Watch your user license – Also, keep an eye on your user license for JIRA. It’s a good idea to see if the new users added from Redmine will put you over your user limit license in JIRA. Another key thing that can cause problems is the statuses, priorities, workflows, links and custom fields in Redmine. Each of these areas needs to be reviewed, and mapping will need to be set up prior to running the import. It’s a good idea to review these items before the import so you can determine what items you can easily map out and which items you will need to create by hand in JIRA prior to the import. Pay close attention to custom fields – Custom fields can be a test in patience by itself. You may want your custom fields set up in JIRA prior to the import. The JIRA Redmine importer has been known to have a few bugs when you allow the importer to create the missing custom fields versus doing it by hand prior to the import. Examine your plugins – Don’t forget about plugins in Redmine! What plugins were you using and what data can be retained and migrated across seamlessly? It is always a good idea to review all the plugins used in Redmine and then see if you can find an equivalent plugin in JIRA. How Else Were You Using Redmine? After your Redmine review and mapping, you may think you have this beat. Not so fast!!! You may be moving off Redmine to JIRA, but what else was your Redmine instance used for? Do you have Wiki data you want retained? What about source control and build information? If you are doing away with Redmine altogether, you may need to plan out a way to migrate all of your wiki content over to Confluence as well. Coyote Creek has a specific methodology for REDMINE to JIRA Migration projects. Coyote Creek has developed a set of best practices to ensure your REDMINE to JIRA migration is a success! 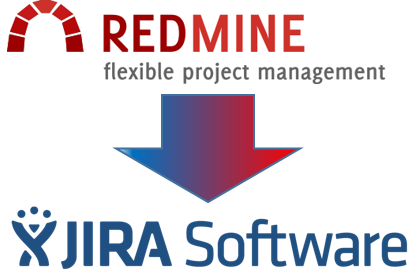 If you’d like to discuss your REDMINE to JIRA Migration, please fill out the contact form below, and we will follow up with you.